Pretty & Super Affordable: Isn't Craft Hostels In North Goa Just The Best? A few months ago, Craft Hostels opened up in the already busy Anjuna stretch but that the older lot hasn’t been a patch on this one. Close to the beach and the flea markets, this Craft doesn’t just win on the location but also on cleanliness and warm hospitality. 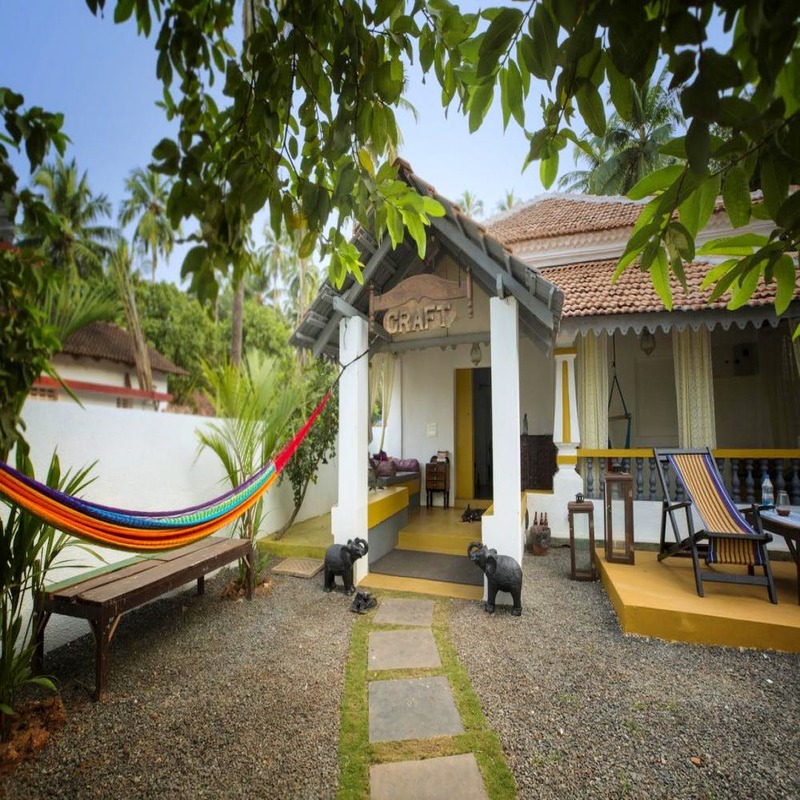 At Craft Hostels, kitty cuddles meet the calm vibe of a sun-soaked Goan villa. This restored house has three dorms, two of them with six beds each and one women-only dorm with 10 beds. The comfiest mattresses ensure you’re well rested during your vacay and always wake up to a very family-like, homely vibe. Breakfast is available on request (for an INR 80) along with friendly tips and tricks from the hosts/fellow hostellers on getting around Goa. The dorm beds start at INR 600 while the rooms go up to 4k. If you’re always up for banter and beer, you should go straight for the dormitories — you’ll love how clean and safe they feel. If you’re still warming up to the co-living vibe, opt for a room (they’ve got 3 of them) that gives you enough privacy, while also leaving enough room to chill with everyone around. And even if you’re a total introvert, you won’t be able to turn down their in-house kitty’s need for round-the-clock belly rubs. When you feel the need to get out, you’ll also be spoilt rotten with options. For the mad party hatters, there are the likes of Shiva Valley, Britto’s Curlies and more. The Chapora Fort is a drive away and so is Panjim with its Latin Quarters and Assagao with its lovely cafes (hey Gunpowder, Villa Blanche and Mojigao) and stores (hop over to No Nasties, People Tree & Rangeela). Feel free to ask for assistance if you’re looking to hire a vehicle to go around Goa, or need an airport pick-up and drop.